5. 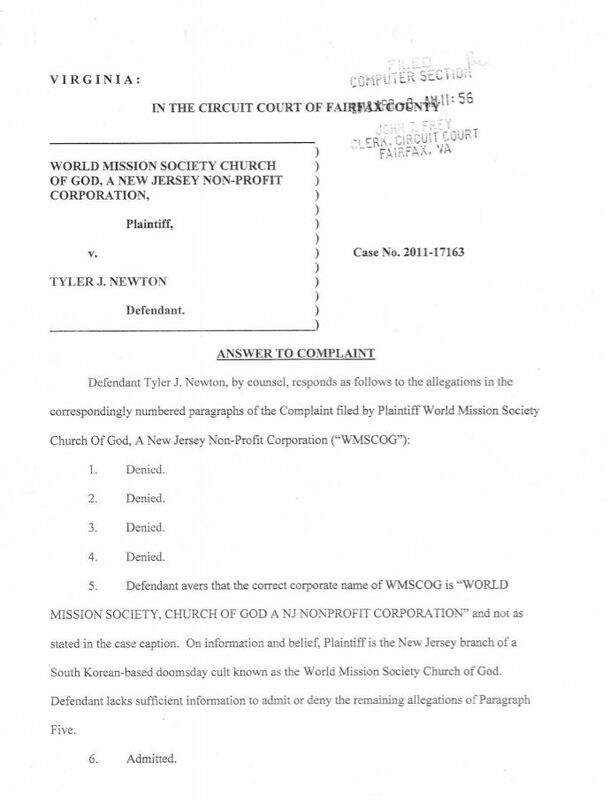 Defendant avers that the correct corporate name of WMSCOG is “WORLD MISSION SOCIETY, CHURCH OF GOD A NJ NONPROFIT CORPORATION” and not as stated in the case caption. 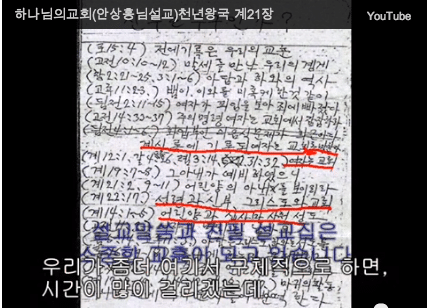 On information and belief, Plaintiff is the New Jersey branch of a South Korean-based doomsday cult known as the World Mission Society Church of God. Defendant lacks sufficient information to admit or deny the remaining allegations of Paragraph Five. 11. Admitted that venue is proper in this Court and that Defendant lives in the County of Fairfax, Virginia. The remaining allegations are denied. 12. 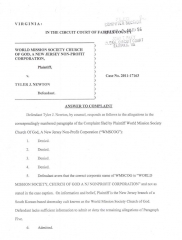 On information and belief, Plaintiff is the New Jersey branch of the World Mission Society Church of God. Defendant lacks sufficient information to admit or deny the remaining allegations of Paragraph 12. 13. Defendant lacks sufficient information to admit or deny the allegations of Paragraph 13. 17. Defendant admits that he does not always use his first name when communicating over the Internet. The remaining allegations are denied. 19. Defendant denies that he has “attacked” the Plaintiff. Defendant lacks sufficient information to admit or deny the remaining allegations of Paragraph 19. 20. Defendant lacks sufficient information to admit or deny the allegations of Paragraph 20. 22. Defendant lacks sufficient information to admit or deny the allegations of Paragraph 22. 23. Defendant admits that he attended the Planning Board hearing on or about September 6, 2011, and that he recorded portions of the public proceedings on an iPad tablet computer. Defendant denies any remaining allegations of Paragraph 23. 25. Defendant lacks sufficient information to admit or deny the allegations of Paragraph 25. 27. Defendant admits to administering a Facebook group devoted to helping victims of the WMSCOG’s harmful and abusive methods, as well as their families. The Facebook group is a private, invite-only group, whose content is not visible to the public. Defendant denies the Facebook Group is “dedicated to attacking Plaintiff.” Rather, it is a support group, intended to promote healing through fellowship. 30. Defendant lacks sufficient information to admit or deny the allegations of Paragraph 30. 31. Defendant lacks sufficient information to admit or deny the allegations of Paragraph 31. 33. Defendant admits to expressing his opinion, within the confines of the closed Facebook Support Group comprised of others who are critical of the WMSCOG, and as part of an online discussion about certain questionable financial practices of various church pastors in branches around the country…. The statement was specifically in response to a discussion about a pastor in Illinois who, on information and belief, is not a member of the Plaintiff church. The remaining allegations of Paragraph 33 are denied. 36. Defendant lacks sufficient information to admit or deny the allegations of Paragraph 36. 37. Defendant lacks sufficient information to admit or deny the allegations of Paragraph 37. 39. Defendant lacks sufficient information to admit or deny whether Ms. Colon made those statements, but contends that such statements would not be defamatory. 41. Defendant lacks sufficient information to admit or deny whether Ms. Colon made those statements, but contends that such statements would not be defamatory. 42. Defendant lacks sufficient information to admit or deny whether Ms. Colon made those statements, but contends that such statements would not be defamatory. 43. Defendant lacks sufficient information to admit or deny whether Ms. Colon made those statements, but contends that such statements would not be defamatory. 44. Defendant lacks sufficient information to admit or deny whether Ms. Colon made those statements, but contends that such statements would not be defamatory. 45. Defendant lacks sufficient information to admit or deny whether Ms. Colon made those statements, but contends that such statements would not be defamatory. 46. Defendant lacks sufficient information to admit or deny whether Ms. Colon made those statements, but contends that such statements would not be defamatory. 47. Defendant lacks sufficient information to admit or deny whether Ms. Colon made those statements, but contends that such statements would not be defamatory. 48. Defendant lacks sufficient information to admit or deny whether Ms. Colon made those statements, but contends that such statements would not be defamatory. 50. Defendant lacks sufficient information to admit or deny the allegations of Paragraph 50. 52. Defendant lacks sufficient information to admit or deny the allegations of Paragraph 52. 53. Defendant lacks sufficient information to admit or deny the allegations of Paragraph 53. 54. Defendant lacks sufficient information to admit or deny whether Ms. Colon made those statements, but contends that such statements would not be defamatory. 55. Defendant lacks sufficient information to admit or deny the allegations of Paragraph 55. 56. Defendant lacks sufficient information to admit or deny the allegations of Paragraph 56. 57. Defendant lacks sufficient information to admit or deny the allegations of Paragraph 57. 58. Defendant lacks sufficient information to admit or deny the allegations of Paragraph 58. 59. Defendant lacks sufficient information to admit or deny the allegations of Paragraph 59. 60. Defendant lacks sufficient information to admit or deny the allegations of Paragraph 60. 61. Defendant lacks sufficient information to admit or deny the allegations of Paragraph 61. 62. This allegation calls for a legal conclusion to which no response is required. To the extent a response is required, the allegations are denied. 63. This allegation calls for a legal conclusion to which no response is required. To the extent a response is required, the allegations are denied. 64. This allegation calls for a legal conclusion to which no response is required. To the extent a response is required, the allegations are denied. 68. Defendant admits that Ms. Colon authored the series entitled “How the WMSCOG Turned My Life Upside Down.” Defendant denies the remaining allegations of Paragraph 68. 70. Defendant admits to introducing and commenting on Ms. Colon’s articles. Defendant denies the remaining allegations of Paragraph 70. 72. Ms. Colon’s articles speak for themselves. Defendant denies any characterization of the articles’ content. 73. Ms. Colon’s articles speak for themselves. Defendant denies any characterization of the articles’ content. 74. Ms. Colon’s articles speak for themselves. Defendant denies any characterization of the articles’ content. Answering further, Defendant denies making any false statements. 75. Ms. Colon’s articles speak for themselves. Defendant denies any characterization of the articles’ content. Answering further, Defendant denies making any false statements. 76. Ms. Colon’s articles speak for themselves. Defendant denies any characterization of the articles’ content. Answering further, Defendant denies making any false statements. 77. Ms. Colon’s articles speak for themselves. Defendant denies any characterization of the articles’ content. 78. Ms. Colon’s articles speak for themselves. Defendant denies any characterization of the articles’ content. 79. Defendant admits to allowing Ms. Colon to publish her research on the Examining Website. Defendant denies the remaining allegations of Paragraph 79. 80. Ms. Colon’s articles speak for themselves. Defendant denies the remaining allegations of Paragraph 80. 81. This allegation calls for a legal conclusion to which no response is required. To the extent a response is required, the allegations are denied. 82. This allegation calls for a legal conclusion to which no response is required. To the extent a response is required, the allegations are denied. 83. This allegation calls for a legal conclusion to which no response is required. To the extent a response is required, the allegations are denied. 86. Defendant admits that Ms. Colon published the article on the website. Defendant denies any remaining allegations of Paragraph 86. 87. Ms. Colon’s articles speak for themselves. Defendant denies any characterization of the articles’ content. Defendant denies any remaining allegations of Paragraph 87. 88. Ms. Colon’s articles speak for themselves. Defendant denies any characterization of the articles’ content. Defendant denies any remaining allegations of Paragraph 88. 89. The allegations of Paragraph 89 state a legal conclusion to which no response is required. To the extent a response is required, the allegations are denied. 90. Ms. Colon’s articles speak for themselves. Defendant denies any characterization of the articles’ content. Defendant denies any remaining allegations of Paragraph 90. 91. This allegation calls for a legal conclusion to which no response is required. To the extent a response is required, the allegations are denied. 92. This allegation calls for a legal conclusion to which no response is required. To the extent a response is required, the allegations are denied. 93. This allegation calls for a legal conclusion to which no response is required. To the extent a response is required, the allegations are denied. 96. Defendant lacks sufficient information to admit or deny the allegations of Paragraph 96. 97. Defendant lacks sufficient information to admit or deny the allegations of Paragraph 97. 98. On information and belief, Ms. Colon has posted online videos using the handle “HaileyStevens10.” Defendant lacks sufficient information to admit or deny the remaining allegations of Paragraph 98. 99. 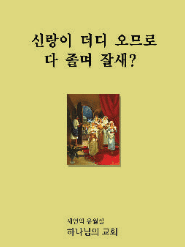 On information and belief, Ms. Colon uploaded the video found at http://goo.gl/DGQaH. The statements in the video speak for themselves. Defendant denies any remaining allegations of Paragraph 99. 101. On information and belief, Ms. Colon uploaded the video found at http://goo.gl/FDT3Z. 103. The statements in the video speak for themselves. Defendant denies any remaining allegations of Paragraph 103. 104. The statements in the video speak for themselves. Defendant denies any remaining allegations of Paragraph 104. 105. The statements in the video speak for themselves. Defendant denies any remaining allegations of Paragraph 105. 106. The statements in the video speak for themselves. Defendant denies any remaining allegations of Paragraph 106. 107. The statements in the video speak for themselves. Defendant denies any remaining allegations of Paragraph 107. 108. This allegation calls for a legal conclusion to which no response is required. To the extent a response is required, the allegations are denied. 109. This allegation calls for a legal conclusion to which no response is required. To the extent a response is required, the allegations are denied. 110. This allegation calls for a legal conclusion to which no response is required. To the extent a response is required, the allegations are denied. 113. The statements in the video speak for themselves. Defendant denies any remaining allegations of Paragraph 113. 114. Defendant lacks sufficient information to admit or deny the allegations of Paragraph 114. 116. The statements in the video speak for themselves. Defendant denies any remaining allegations of Paragraph 116. 117. The statements in the video speak for themselves. Defendant denies any remaining allegations of Paragraph 117. 118. This allegation calls for a legal conclusion to which no response is required. To the extent a response is required, the allegations are denied. 119. This allegation calls for a legal conclusion to which no response is required. To the extent a response is required, the allegations are denied. 125. Defendant repeats and incorporates by reference his responses to paragraphs 1 through 124 as if fully set forth herein. 132. Defendant repeats and incorporates by reference his responses to paragraphs 1 through 131 as if fully set forth herein. 141. Defendant repeats and incorporates by reference his responses to paragraphs 1 through 140 as if fully set forth herein. 146. Defendant repeats and incorporates by reference his responses to paragraphs 1 through 145 as if fully set forth herein. 150. Defendant repeats and incorporates by reference his responses to paragraphs 1 through 149 as if fully set forth herein. 151. Defendant lacks sufficient information to admit or deny the allegations of Paragraph 151. 157. Defendant lacks sufficient information to admit or deny the allegations of Paragraph 157. 1. The Complaint fails to state a claim upon which relief may be granted. 2. The Court lacks subject-matter jurisdiction because the alleged statements relate to issues of church governance and disputes over religious doctrine. 3. The factual statements attributed to Defendant are all true. 4. The alleged defamatory statements are opinion. 5. The alleged defamatory statements are not statements of fact. 6. The alleged defamatory statements are rhetorical hyperbole. 7. The alleged defamatory statements were made in a privileged context. 8. Defendant lacked the requisite intent to be liable for defamation. 9. The alleged statements were not made with actual malice. 10. The alleged statements lack defamatory meaning. 11. The alleged statements were not published by Defendant. 12. The alleged statements are not “of and concerning” the Plaintiff. 13. Plaintiff is libel-proof. Plaintiff cannot be defamed by the alleged statements because its reputation is already poor. 14. The alleged statements are protected by the incremental-harm doctrine. 15. The alleged statements are protected by the subsidiary-meaning doctrine. 16. The alleged conspirators did not agree upon concerted action. 17. To the extent the alleged conspirators agreed on any action, they contemplated a lawful purpose and the use of lawful means to achieve that purpose. 18. Plaintiff has not been damaged in the manner or to the extent alleged. Defendant asserts these affirmative defenses based upon information presently available. Defendant reserves the right to assert additional affirmative defenses as further information becomes available. WHEREFORE, having fully answered the Complaint, Defendant respectfully requests that the Complaint be dismissed in its entirety; that the relief prayed for by Plaintiff be denied; and that judgment be entered in favor of Defendant. Defendant further requests that the Court award such further relief as the Court may deem just and proper.